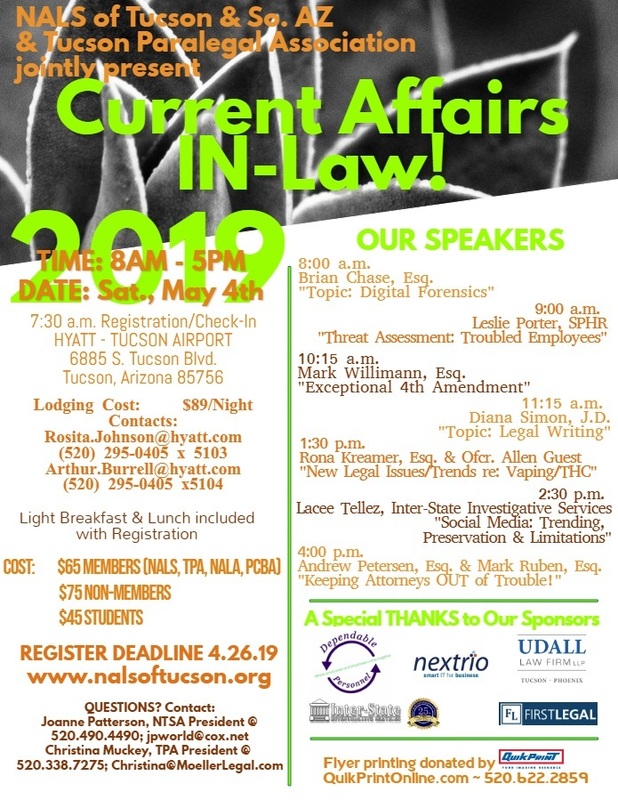 TPA is your source for up-to-date information and about the paralegal profession. Join us today to be a part of this growing group of professionals. 2018-2019 Officers and Board of Directors! There are still positions available and volunteers needed to assist the new Board in their transition and goals to be met next year, so please reach out to one of us if you are interested in serving your association. You can also go to the Contact Us page to let us know if you'd like to join the Board, we would love to have you! 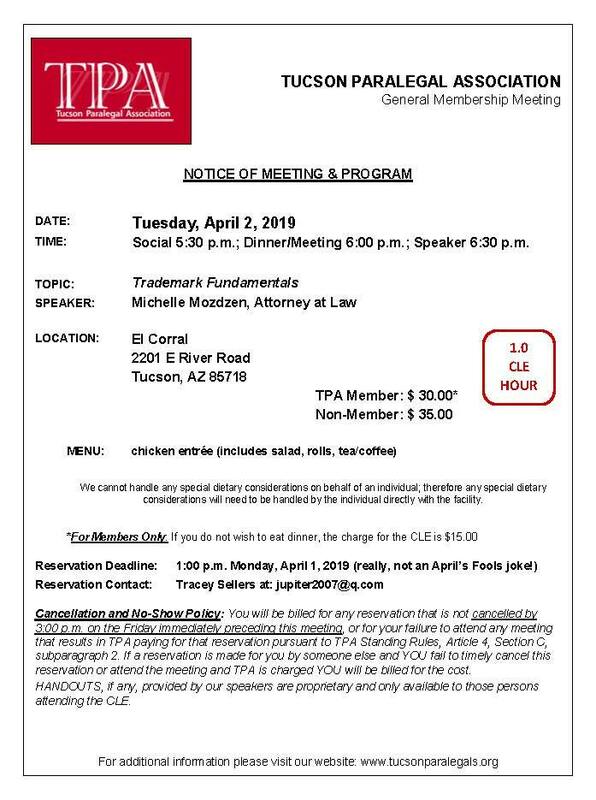 Board Meetings are held the last Tuesday of the month at at 5:30 p.m. at the Moeller Law Office ( Located at 3433 E Fort Lowell Rd # 105, Tucson, Arizona, 85716). (click Events for more information).